Marlborough, MA, November 2018. Ruland Manufacturing is now an authorized distributor for Controlflex couplings manufactured by Schmidt-Kupplung in Wolfenbüttel, Germany. This partnership will give Schmidt-Kupplung an expanded North American presence and Ruland a more complete zero-backlash coupling product line. Controlflex couplings have a compact balanced design, are electrically isolating, and have high misalignment capabilities, making them an ideal fit for encoders or light duty power transmission applications. 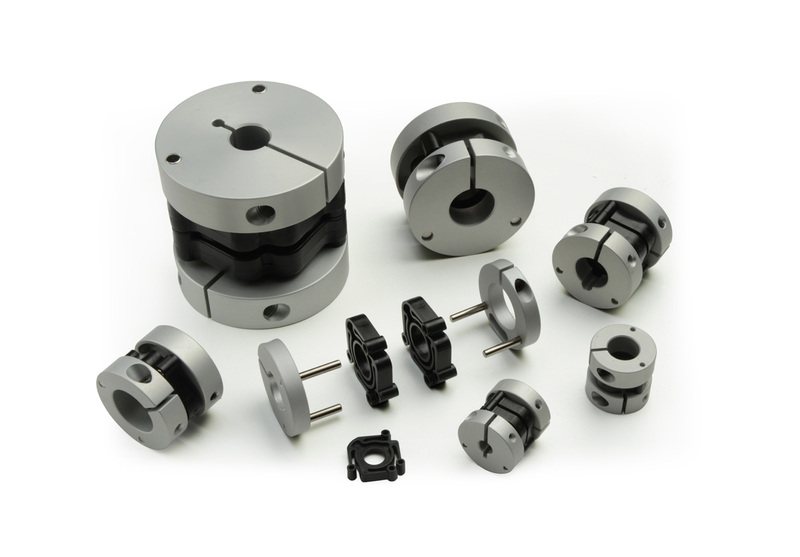 Equipment designers in industries such as packaging, semiconductor, solar, medical and automation benefit from the wide range of sizes and performance characteristics offered by these couplings. 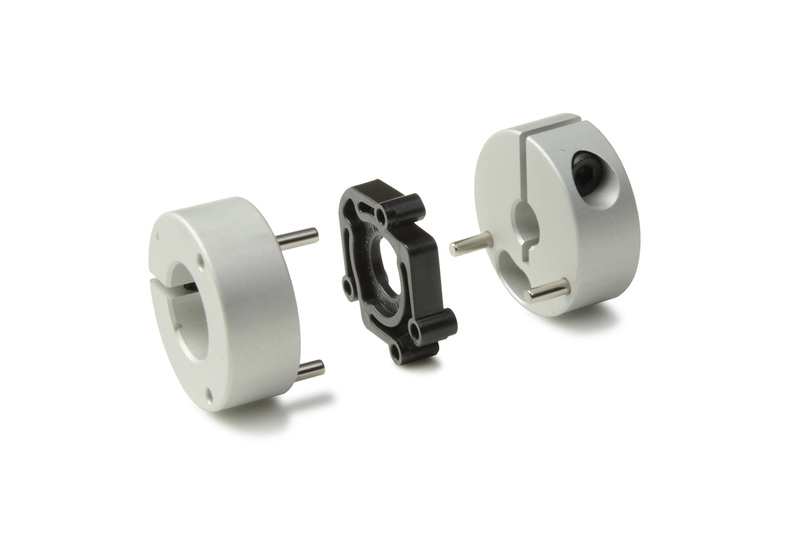 Controlflex couplings are comprised of two anodized aluminum hubs joined by pins to a Delrin insert. Hubs are manufactured in standard widths for general purpose applications and thin widths for compact installations. The Delrin insert allows for a balance of rigidity to maintain position and flexibility for high misalignment capabilities. It is an efficient torque transmitting element with light bearing loads. Controlflex couplings are manufactured in single and double insert styles, allowing for system design flexibility. Single insert couplings have high misalignment capabilities and fit in space restricted applications. Double insert styles offer higher torque and torsional stiffness capabilities. All styles have a balanced design for reduced vibration at speeds up to 25,000 rpm. Controlflex couplings are available in clamp screw designs with or without keyways in inch, metric, and inch to metric bore sizes ranging from 1/8 inch (3 mm) to 1 ½ inches (40 mm). Hardware meets or exceeds DIN 912 12.9 standards for maximum torque capabilities. Ruland Manufacturing Co., Inc. was established in 1937 as a manufacturer of precision components. Ruland's focus for the past 40 years has been on high performing shaft collars and couplings. All Ruland products are made in its Marlborough Massachusetts factory. The complete line of products includes shaft collars and rigid couplings, and a full line of motion control couplings: beam couplings, bellows couplings, oldham couplings, miniature disc couplings and zero backlash jaw couplings.